At the Big Fix Clinic, we do not make appointments for outdoor cats (with the exception of our transport program). Cats should have no food after midnight the night before surgery. Water is fine. Check-in time is 7:30am-8:00am. No cats will be accepted after 8:00am. A maximum of two cats per person per Thursday are accepted. Pick-up time will be either 4:00-4:30pm or 5:00-5:30pm depending on where you are in line. On particularly busy days, some cats may be held overnight for surgery on the following day. 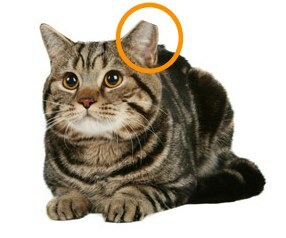 All feral cats will receive an ear-tip to show that they have been altered. Stray Cat: A domestic, socialized cat that is wandering or lost. Feral Cat: A cat that has regressed to a wild state. They are former domestic cats who were lost or abandoned by their owners or the offspring of such cats. Learn more about why this distinction is important here. I also have 4dogs 2 females 2 male one just had 2nd set of puppies, also need fixing. HELP!!!! Are you open Christmas week? Can I bring a cat in Monday or TUesday about 730 ?? ?